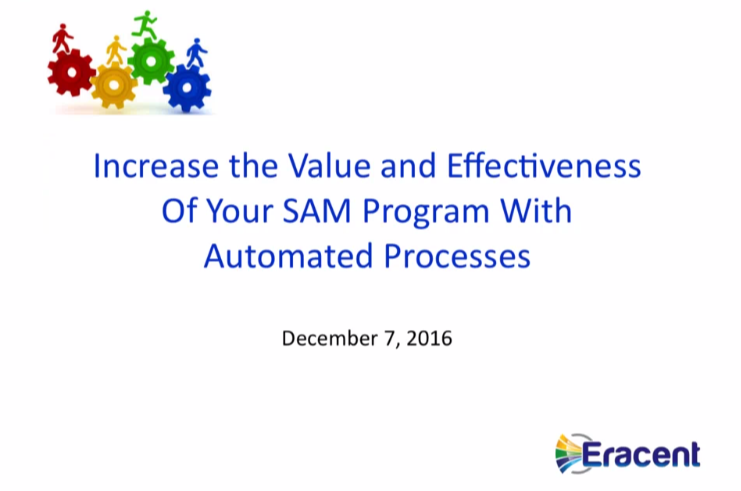 How can you increase your SAM program's quality and breadth of services? How can you maximize and show the value that your program provides within your organization? This webinar examines how you can automate and streamline your SAM and ITAM processes, as well as how they align with ITSM processes to improve IT service delivery. Watch this webinar for insights on how you can gain more value from your asset and license management program as it matures.